50 years ago, in 1966 Heinz Maier-Leibnitz proposed the idea of neutron backscattering for achieving high energy resolution in neutron spectroscopy. The same year Bert Alefeld published his first experiments from a Silicon neutron backscattering setup at the ‘Atomic Egg’, the FRM reactor in Garching near Munich. These experiments did show for the first time that the energy resolution of neutron spectroscopy could be extended by two orders into the micro eV range. This great improvement in energy resolution opened the door to previously unseen phenomena as well as the exploration of longer time scale molecular motions in a plethora of systems. Since first results, backscattering spectroscopy with neutrons has contributed to active fundamental research in the fields of life sciences, energy materials, complex systems. It has proved an essential tool to study dynamics in polymers and biological systems, near the glass transition of different types of glass formers, in confinement and near surfaces, of reorientational motions in crystals, of rotational tunnelling and of diffusion in metals and alloys or of spin excitations and nuclear hyperfine splitting. We invite you to celebrate with us the 50th birthday of Neutron backscattering spectroscopy and all the people that have contributed to its history. The workshop will start with a historical view on the early times and places of neutron backscattering: the FRM I, Garching, the Dido reactor in Jülich, the Institute Laue-Langevin in Grenoble (France) and the ISIS Pulsed Neutron and Muon Source in Didcot (UK). We are very pleased to welcome the pioneers of neutron backscattering spectroscopy, Anton Heidemann and Manfred Birr, as honor guests. Looking ahead the workshops aims to showcase the importance of the neutron backscattering technique for scientific progress and the impact of key instrumentation advances, including innovative ideas for backscattering at pulsed neutron sources. The workshop will take place at the research campus of Garching near Munich on the 2nd and 3rd September 2016. 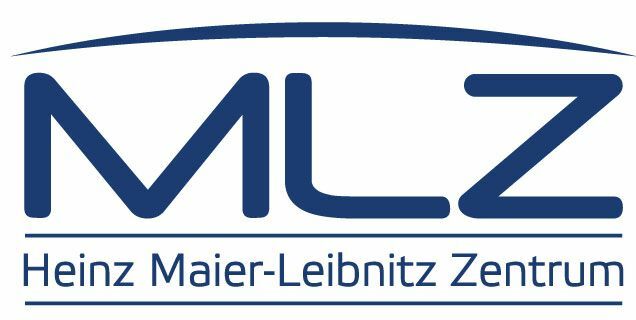 It is hosted by the Heinz Maier-Leibnitz Zentrum (MLZ) und jointly organized by ILL, ISIS and MLZ. On Saturday afternoon, after lunch, a guided tour through FRM II is offered. If you're interested in, please do not hesitate to register. Please note, that the number of available places is limited. The workshop is a satellite meeting of QENS 2016 to be held in Berlin on the 5th-8th September 2016 <http://www.helmholtz-berlin.de/events/qens-2016/index_de.html>. Munich offers excellent train and flight connections to Berlin and thus we hope to see many scientists who are interested in high energy resolution in Garching.